Donna grew up In Jenkintown, Pennsylvania part of a large and extended family with strong ties to the Philadelphia area. 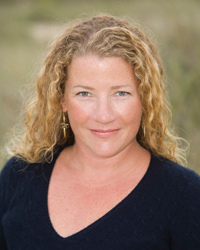 After graduating from La Salle University, Donna spent her first summers away and on her own working on Nantucket at a variety of positions including restaurants, retail and concierge, commuting by bicycle from her idyllic beach shack on the water in Surfside. Those amazing and carefree summers sealed her fate and the connections she made to the people and the island of Nantucket remain today. Donna began her career in real estate with the Maury People Sotheby’s International Realty 20 years ago and can be found year round at the office on Main Street. She prides herself on having quick reflexes and the ability to match buyers and sellers while maintaining clear and honest communication in every aspect of any deal. From high end sales to rentals, it is all done with enthusiasm and integrity. Donna prides herself on providing all her buyers with their dream situation while banking on a sound investment if and when they decide to sell. For sellers, she is accommodating and helps make the process seamless while getting the right price for their property. Donna enjoys a variety of activities both on and off island but holds a special reverence to any destination like Nantucket where the natural beauty comes first. Donna and her husband, Simon Shurey, with their black labs Georgie and Frances, love living on Nantucket; they appreciate the island lifestyle and are deeply connected and involved in the community.